The Tamron 10-24mm f/3.5-4.5 Di-II Lens for Canon is an ultra wide zoom designed specifically for crop sensor cameras. Its Micro Motor provides precise and smooth AF performance and its close minimum focusing distance makes it good for getting close to your subject, whether because you're shooting in a very tight space or going for an exaggerated effect in portraiture. It is ideal for interiors, landscapes, cityscapes, and very large group shots. 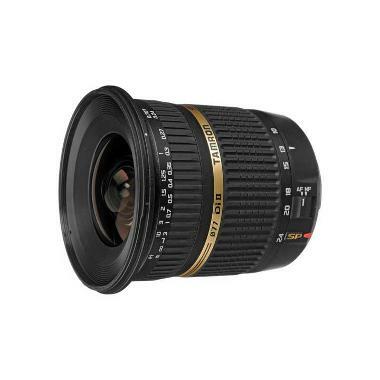 • This is an EF-S lens, which is compatible with crop frame/APS-C sensor cameras only. It is not recommended for full frame sensor cameras. • Tamron lenses experience spotty compatibility and performance issues when used with Live View on select Canon cameras. You may have to update the firmware on your camera before using this lens with certain settings. Please visit their service news page for more information.